The Chamber of Commerce of Greater Cape May, proudly presents Social Media Day in Cape May, Monday, September 17th 2012 in partnership with the City of Cape May and Constant Contact. Win a Kindle Fire & Other Fabulous Prizes! 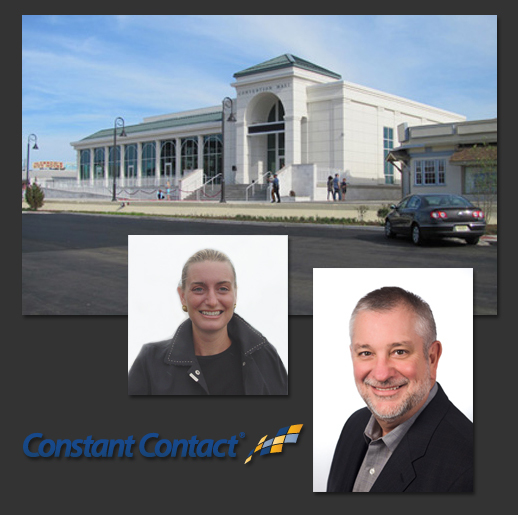 Dave & Carolinn are taking over Cape May's NEW Convention Hall for an epic day of four FREE seminars. It's Social Media Day in Cape May- learn at our four FREE seminars then stay to play in Cape May! We're giving away 8 copies of Constant Contact CEO Gail Goodman's Engagement Marketing and we will be giving away a Kindle Fire during Program 4. Each program you attend gets you an additional entry to the drawing. Must be present to win. Bonus- the first 200 registrants receive a hospitality bag from the Chamber of Commerce.